What is DRM and how does it apply to audiobooks? Home / Questions / What is DRM and how does it apply to audiobooks? 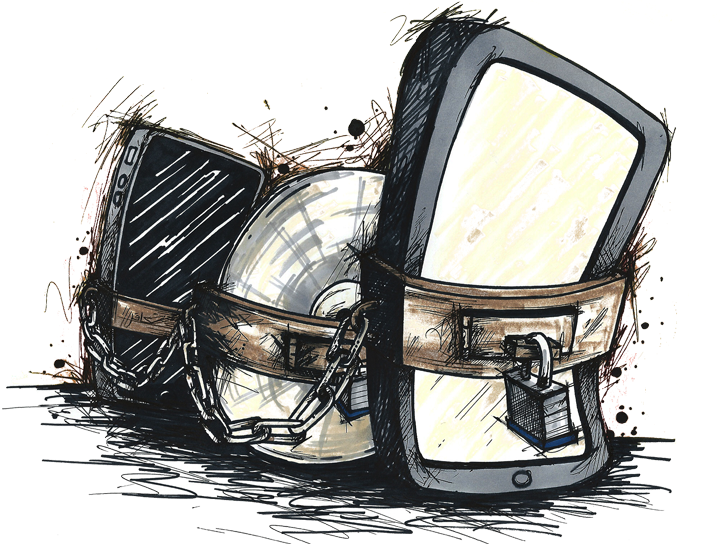 DRM, or digital rights management, is a way for companies to limit the use of a specific file. DRM is not restricted to audiobooks but one of the most aggressive uses of it has been with them. You will also find DRM in music files, ebooks and computer programs. By using DRM a company is able to control how you use a file. For instance, a company could ensure that you are only able to listen to an audiobook through their app, or are only allowed to listen to in twice before you have to pay for it again. Audible uses DRM to make sure that audiobooks brought through its service are only played through its official app. To get access to an audiobook you’ve bought you have to load up their app and download it there. The file is essentially ‘hidden’ from the user who is not able to play it through any other device or back it up in any way. As the files are hidden on your listening device and the Audible app is the only place you can download the audiobook, if you ever change your listening device to one that doesn’t have an Audible app or the Audible service goes offline you are not able to access any audiobooks you have bought. iTunes uses DRM in a similar way, although you are able to back up the files you download. Within iTunes an audiobook needs to authenticate with Apple’s servers each time you open it to make sure you are still allowed to access the file. For this to happen you may be promoted to input your apple ID and password before it is played. We believe that DRM is damaging to the industry. The base assumption when using DRM is that all users are thieves that want to share and pirate content. This assumption doesn’t sit well with us. DRM is designed to make files difficult to share or pirate but in reality there are ways around the embedded DRM. This means that someone who really wants to share or pirate can and will, and paying customers are inconvenienced by the DRM. We believe there is also an issue with the concept of ‘buying’ when it comes to a file that has DRM. Who really owns the file? If the company that you bought the audiobook from can say how you use the file, what apps can open it, if you can back it up and even if you still have access to the file to play, then in what sense do you ‘own’ the file? We 100% disagree with DRM. None of our products use it. The files are yours to use, listen to and backup as you please. This mentality follows through to the USB memory sticks we deliver the audiobooks on. We haven’t locked them down in any way. They are yours to use, reuse, wipe clean or just display on a shelf. Previous post: Do audiobooks have sound effects? Next post: Work for us!